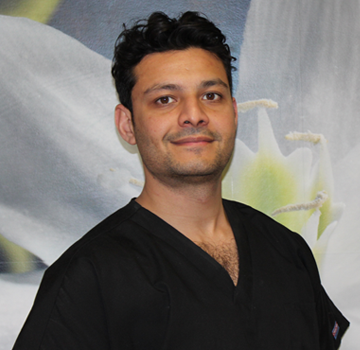 Dipan graduated from The University of Manchester in 2004 and after a year of vocational training he now practices general dentistry in London. Dipan enjoys working with patients whatever their needs may be. His particular interests lie in providing patients with solutions for missing teeth, in addition to helping patients improve their smiles using conservative techniques. Dipan is a firm believer in post-graduate education and evidence based delivery of dental care. His passion to learn and better himself has led him to successfully complete the Diploma in Restorative Dental Practice in 2008 and the Diploma in Implant Dentistry from the world renowned Eastman Dental Institute (UCL). Dipan also has a passion for teaching and is currently a clinical teacher at Kings College Dental Institute supervising and lecturing 5th year dental students.